Dicamba isn't just killing neighboring farms anymore. Dicamba often causes affected plant leaves to curl, seen here with soybean leaves. Sold under the brand name XtendiMax (when sold by Monsanto) and Engenia (when sold by German chemical manufacturer BASF), dicamba has shown a tendency to drift from one farm to the next. It’s already been blamed for killing millions of acres of farmland (and even a murder) but what happens when it drifts away from farmland and into, say, forestland? Dicamba is highly toxic to broad-leaf plants, which would normally include soybeans and cotton. For the farmers who have bought into the dicamba system and plant GMO dicamba-resistant seed, that’s not a problem, but when it drifts onto other crops, it can cause stunting and other issues. 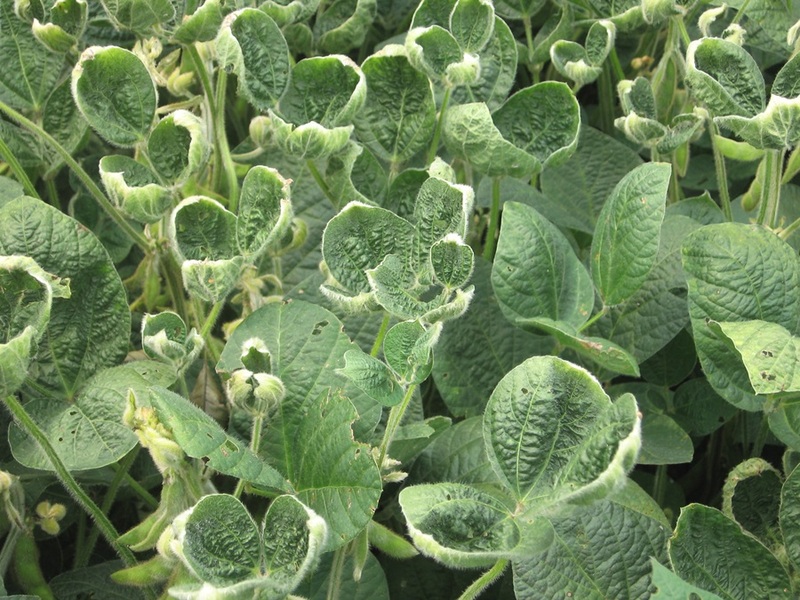 The effects of dicamba on crops have been well-reported. But now there’s evidence that dicamba drift is hurting another plant: trees. Johnathan Hettinger of the Midwest Center for Investigative Reporting has a new report detailing how dicamba is damaging oak trees in Iowa, Illinois, and Tennessee. Earlier this year, reports began to surface that dicamba drift had caused telltale curling and cupping of the leaves – a common effect of dicamba – on groves of oak trees, some of which are hundreds of years old. Emails obtained by Hettinger thanks to the Freedom of Information Act show that Monsanto was aware of the issue. In response, Monsanto has repeated their familiar refrain that when applied properly, dicamba can be safe. “Growers and applicators should always be aware of what crops are around fields before spraying,” wrote Charla Lord, a Monsanto spokesperson. Lord also noted that Monsanto’s dicamba products underwent extensive testing prior to hitting the market. “Applicators must follow all product labeling and any local requirements before spraying,” Lord wrote. But this isn’t as easy as it sounds; the directions are incredibly difficult to follow. “Dicamba is absorbed through the roots of woody plants and can severely injure or kill ornamentals if applied within their root zone,” according to a paper from a plant pathologist about diagnosing pesticide impacts on trees. The distinctive cupped withering of the leaves is a dead giveaway of dicamba poisoning, but officials have conducted tests to be sure. In Tennessee, cypress and oak trees at the state’s largest lake were confirmed by the state Department of Agriculture to have been harmed by dicamba drift. Officials expect those trees to recover, but there’s not much research on the effects of long-term exposure.